The term control has a long history in social psychology and has been used in a variety of ways. 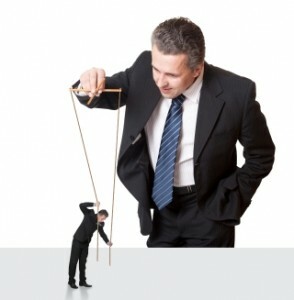 At the most general level, control can be defined as influence, whether it be over internal states (as in emotional control or self-control) or over external aspects of the environment, including control over outcomes (i.e., being able to attain outcomes you desire) or over other people (i.e., making them do what you want them to do). Psychologists from different perspectives have focused on this basic construct in a multitude of ways. Some have focused on understanding the effects of changing circumstances in the environment to permit different degrees of control to individuals. Research also has focused on the subjective experience of feeling like you have control over outcomes you attain. Others have focused on the antecedents and consequences of feeling like you are being controlled—typically by other people. Still others have used the term control (or controlled) to help differentiate between those aspects of cognition and behavior that are consciously, as opposed to nonconsciously, determined. Each of these instantiations of the term control has its own nuanced meaning and place in the history of social psychology. Among the earliest authors to use the term control as a central construct was Julian Rotter in the 1950s. Rotter’s social learning theory asserted that behavior is a function of one’s expectations about future reinforcement. Specifically, Rotter differentiated between two sorts of expectations, which he referred to as loci of control. When people expect that they can control the procurement of desired outcomes (i.e., that their behavior will lead to the outcomes), they are said to have an internal locus of control. People with an internal locus of control are expected to be more motivated to behave in an attempt to attain the desired reinforcements. By contrast, when people expect that they cannot control the attainment of desired outcomes (i.e., that the outcomes are controlled by fate or chance), they are said to have an external locus of control. In other words, the outcomes are controlled by forces external to them. People with an external locus of control are hypothesized to be unmotivated to act, because they believe their actions will not lead to the outcomes they desire. Subsequently, in the 1970s, Martin Seligman used the concept of having control over outcomes as the centerpiece for his theory of helplessness and depression. Seligman speculated that when people experience lack of control over outcomes in their environments, they tend to develop a chronic condition, referred to as learned helplessness, which he suggested was closely related to depression. Having an external locus of control thus bears similarity to being helpless, although the concept of locus of control was viewed as a personality variable (i.e., something that is differentially strong from one person to another), whereas the experience of helplessness was understood as a phenomenon caused by objective lack of control in the environment. In a series of poignant studies that illustrated the helplessness phenomenon, animals would be placed in a small cage with two compartments. The floor in one was covered with an electrified grid. This half of the cage was separated from the “safe” compartment by a wall, the height of which could be manipulated by the experimenter. Early on, the animals were positioned on the side of the cage with the electrified grid beneath them, and over the course of several trials, they learned that they could escape the unpleasant (though nonlethal) shocks by jumping over the dividing wall. However, when the height of this dividing wall was varied randomly, in such a way that escaping the shocks became something that the animal could no longer control (i.e., could no longer escape reliably), the animals gradually learned to stop trying. Further, the impact of this experience was chronic and emotionally charged. The animals refused food and water, and their health deteriorated. This illustration is thought to mirror the development of severe depression in people and serves to demonstrate the consequences of lacking objective control over the desired outcomes in one’s environment. The concept of control over outcomes is also central to self-efficacy theory as outlined by Albert Bandura. Bandura maintained that being motivated required people to expect that they can obtain desired outcomes, but he said that there are two key components to expectations of control. The first is the belief that there is a contingency or link between a particular behavior and a desired outcome; the second is the belief that one is competent to do that requisite behavior. Bandura’s theory focuses much more on the expectancies about efficacy or competence than about the contingencies, essentially assuming that the contingencies do typically exist. More recently, the term perceived control has been adopted as the most common way of talking about having an internal locus of control or expecting to have control over outcomes. Studies have now shown that perceived control tends to be adaptive and is linked to a number of positive outcomes, including better performance and well-being. For example, those with higher perceived control tend to perform and learn more effectively. They experience crowded spaces as less aversive. In general, they report fewer physical health symptoms (such as headaches), and in the case of institutionalized aged people, studies have linked lower perceived control to an increased rate of mortality. Researchers have argued that human beings have a strong desire to perceive that they have control over outcomes. A line of research by Ellen Langer and her colleagues helped illustrate this point by demonstrating that this desire is so strong that people tend to perceive that they have more control than they actually do. Langer dubbed this phenomenon the illusion of control. A number of researchers have focused on a related, but distinct aspect of control, that is, the experience of being or feeling controlled—particularly by other people—as opposed to feeling a sense of autonomy or freedom. Among the first researchers to identify this area as important for social psychology was Richard deCharms in the 1960s. DeCharms speculated that many of the positive outcomes that had previously been linked to an internal locus of control were, more precisely, a function of feeling free rather than controlled. In so doing, he was changing the focus from control over outcomes to the control of behavior, essentially asking whether people were controlling their own behavior or whether it was being controlled by others. Edward Deci and Richard Ryan, in their self-determination theory, identified this experience of freedom as a basic psychological need. They referred to this experience as the need for autonomy, which is the opposite of feeling controlled. Stated differently, this perspective suggests that it is important for people’s well-being not to be controlled by others; they need to feel a sense of regulating their own behavior. The theory therefore characterizes social environments relative to the degree to which they support people’s autonomy versus control people’s behavior. Considerable research has identified aspects of environments that contribute to their being supportive of autonomy versus controlling. Experiments have shown, for example, that offering people choice about what they do and how they do it, providing people with a meaningful explanation for why they are being asked to do something, and avoiding the use of words and phrases that imply control (e.g., should, must, have to) all contribute to people experiencing a situation as being supportive of autonomy. In contrast, many factors have been identified that tend to leave people feeling controlled. Perhaps the most surprising is that people tend to feel controlled when they are offered a reward for doing something. It seems that tangible rewards are frequently used to get people to do things they would not otherwise do, so people come to associate the rewards with being controlled and they tend to feel controlled when they do something to get a reward. Other factors that are controlling include threats of punishment, surveillance, deadlines, critical evaluations, goal imposition, and pressure to win a competition. Overall, a great deal of research has shown that when parents, teachers, managers, coaches, and physicians are supportive of autonomy rather than controlling, their children, students, employees, athletes, and patients tend to do better in many ways. They learn better, perform better, persist longer at various tasks, experience greater job satisfaction, behave in healthier ways, and feel better about themselves. In a literature that developed quite independently of the research cited earlier in this section, cognitively oriented social psychologists have drawn an important distinction between what they call automatic and controlled mental processes. Automatic processes are characterized as operating without awareness, effort, or intention. Have you ever noticed how you sometimes eat something without even realizing you are doing it? You probably also shift your car automatically without giving it any attention or thought. Such behaviors can be caused by processes that operate out of your conscious experience. In other words, you are not really controlling your own behaviors; some non-conscious process is controlling you. In contrast, controlled processes are characterized by the opposite set of features. They require more effort and conscious awareness. You are making the decision to do the behaviors, so you are more in control of yourself and your behaviors. Because such behaviors use people’s limited attention, they tend to interfere with doing other controlled behaviors. In other words, if you are engaged in one activity that requires controlled mental processes, your performance on a second concurrent task that requires controlled processing is likely to be impaired. One of the most interesting features of the research in this area is that, in general, one type of mental processing (i.e., automatic or controlled) does not appear to be more adaptive than the other. Under different cir-cumstances, each has its advantages and disadvantages. For example, in general, when it comes to novel situations that require consideration of a variety of factors, the controlled processing system seems to be significantly more flexible and effective. Careful, deliberate consideration of different courses of action usually results in the most effective behaviors. Often, however, behaving more quickly or with less attention may be advantageous. In such cases, the automatic processing system tends to be preferable. Further, the automatic processing system requires less energy, so there may be circumstances where converting to the automatic system—through habituation or practice— would free up psychic energy to address more complex problems. The drawback that accompanies faster and less effortful processing, however, is the decreased flexibility. Many researchers have argued that most of everyday life, much more than we intuitively imagine, is dictated by the automatic processing system. They suggest not only that the processing capacity of the controlled system is limited but also that the frequency with which it can be employed in everyday life is quite limited. For instance, Roy Baumeister and colleagues have speculated that the controlled processing system may play a casual role in our actions as little as 5% of the time, although this point is still debatable. One interesting phenomenon that has emerged from this literature is that, often, attempting to exert deliberate, conscious control over activities that are typically automatic results not only in decreased efficiency but also in decreased quality of performance. Take, for example, the coordination of movements required for jogging; this complex sequence of actions is normally managed by the automatic processing system, resulting in a series of fluid decisions. If, however, people were asked to consciously and deliberately consider their actions as they jogged, the result would be slower, more awkward, movement. In this case, attempting to use the controlled processing system to manage decisions formerly ascribed to the automatic system is clearly disadvantageous. Finally, it is important to note that most researchers do not see the distinction between controlled (i.e., conscious) and automatic (i.e., nonconscious) processes as black and white. Although it was originally believed that these two categories were relatively distinct, researchers now believe that the two categories are often blurred. John Bargh, for instance, has argued that most processes of interest to social psychologists are actually best defined by a mix of features traditionally ascribed to the automatic and controlled categories. The term control has taken on a variety of different meanings in social psychology. Despite the common thread of all the work on control relating to the degree to which people control their own behaviors or outcomes, each use of this term has its own history and corresponding literature. Some work has focused on the degree to which people feel able to control (i.e., attain) the outcomes they receive. Some has focused on whether people’s behavior is autonomously regulated or is controlled by others. And some has focused on how much of people’s behavior is regulated automatically, out of their awareness, and how much is controlled by conscious, more deliberative processes. Bargh, J. A., & Chartrand, T. L. (1999). The unbearable automaticity of being. American Psychologist, 54, 462-139. DeCharms, R. (1968). Personal causation: The internal affective determinants of behavior. New York: Academic Press. Deci, E. L., & Ryan, R. M. (2000). The “what” and the “why” of goal pursuits: Human needs and the self-determination of behavior. Psychological Inquiry, 11, 227-268. Langer, E. J. (1975). The illusion of control. Journal of Personality and Social Psychology, 32, 311-329. Rotter, J. B. (1954). Social learning and clinical psychology. Englewood Cliffs, NJ: Prentice Hall.